There’s only another 3-4 episodes left for the majority of these series. It’s amazing how quickly time passes by and while I’m always eager to watch the episodes, it’s bittersweet knowing that the more I watch, the closer the ending comes. Regardless, this past week was solid with the Fall 2013 anime series and are definitely setting up for some big finales. This week I’ll be sharing my thoughts on Tokyo Ravens episode 21, Nagi no Asukara episode 22, Samurai Flamenco episode 19, Kill la Kill episode 21, and Golden Time episode 21. It was crushing to see Harutora break down as a result of Natsume’s death. By looking at his eyes, you could see how desperate he was to save Natsume no matter what. He even resolves to use the Taizan Fukun Ritual which he stopped Suzuka from using in the past. He feels that everything was his fault, Natsume taking his place as Yakou’s reincarnation, her losing her childhood because of it, and she died because of people obsessing over him. They’re now working within a short time window since everything has been set in motion. They don’t have time to sit around mourning Natsume’s death since all the different factions have begun to move with Yakou’s “revival”. I feel like the next few episodes are going to be explosive with all the characters from the past coming back for this clash of ideals and beliefs. While I criticized this show in the past for not focusing on the main cast, I can now see why they gave these other characters so much screen time. 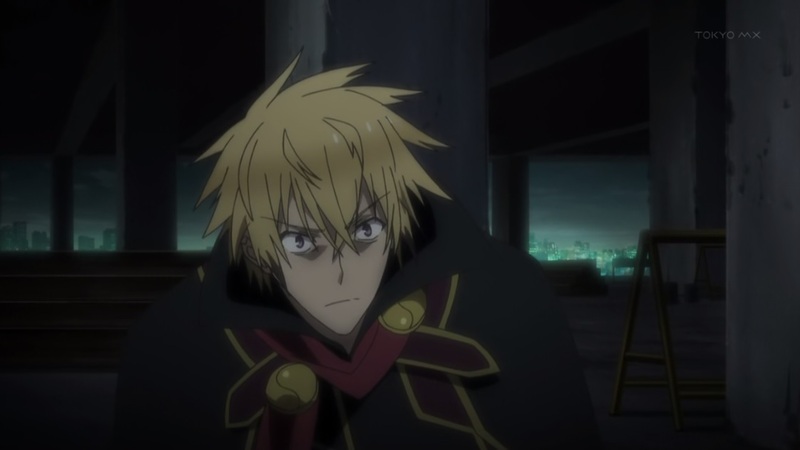 Tokyo Ravens quickly shot up from being my guilty pleasure of the season to being one of my favourites. They dropped a few hints in the past episode but they came out and told us what had happened to Manaka. She’s lost her ability to love and all of her memories regarding her love. They hinted at this in the previous episode where she stopped to think about the word “like” as well as her not remembering her more intimate moments with Hikari and Tsumugu. It was also weird how she was interacting with Tsumugu normally whereas she was infatuated with him in the past and would get flustered around him easily. The Sea God’s sacrifice was taken away from him and as a result he took away her ability to love anyone else. 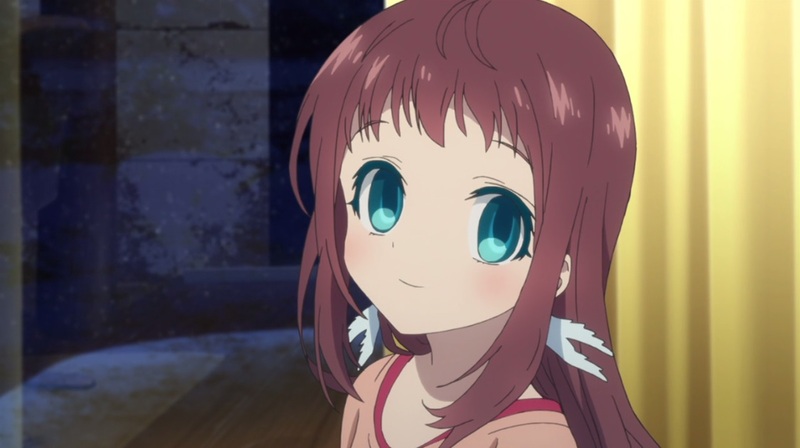 Uroko mentioned about how everything will balance out in the end back when they took Manaka away from the Sea God. It looks like things are leading towards a possible sad ending where someone will have to be sacrificed once again in order to restore balance to their world. This was generally a peaceful episode since the world had been restored to a normal state. Everyone was at peace finally since crime had dropped off and evil had been vanquished from the world. We get to see what everyone is up to now that things have settled down and finally get to see Goto’s girlfriend. While it was strange that we never actually saw him call her or see her throughout the entire series, it didn’t really catch my attention since the rest of the show had been so crazy. In addition, Goto seemed to be a normal person who was the voice of reason for Masayoshi. However, he was actually broken from the disappearance of his girlfriend and had just been coping with it this entire time. While things are peaceful now, it doesn’t change the fact that there are still victims and people suffering from “evil” in the past. 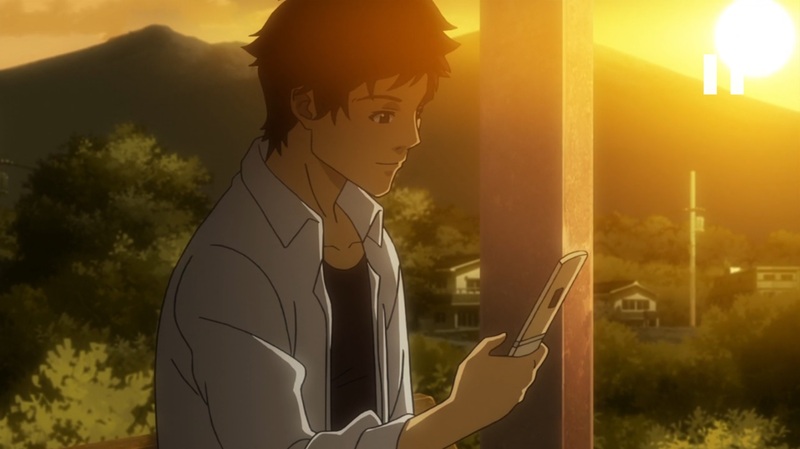 Masayoshi’s parents are still dead as a result in the past and Goto is still suffering from the possible crime and disappearance regarding his girlfriend. At the end of the episode, it seems like we’re moving on to more current issues in the real world. 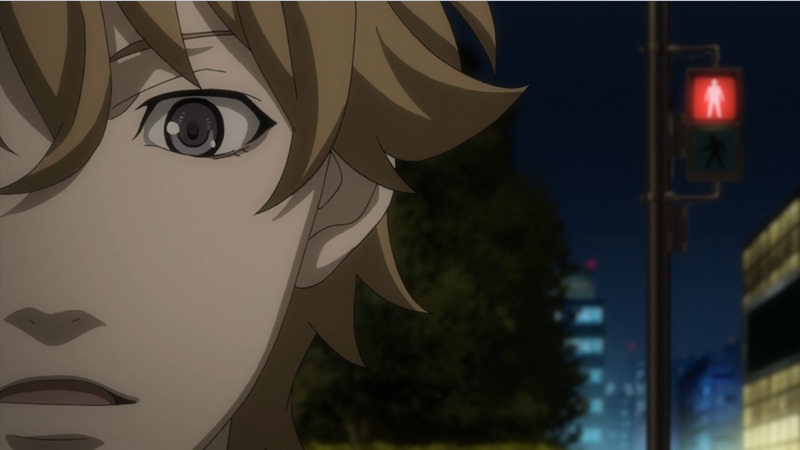 Masayoshi will be fighting against terrorists or people who fight for their own ideals and beliefs. Just in the last episode, he rejected Alien Flamenco’s offer because he refused to force everyone into the same beliefs. Now if he’s fighting against terrorists, he’ll be in the same position that Alien Flamenco was in earlier. Does he allow them to do what they believe in, or does he fight against them in order to fight for this “peace”? 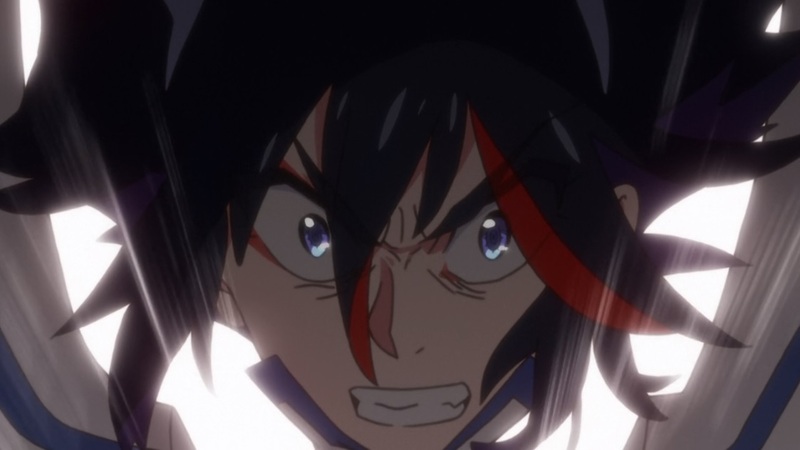 There isn’t a whole lot to say about this since it was primarily focused on Satsuki’s battle with Ryuuko. I think all the hype and energy I had in the last few episodes kind of just made this episode feel a bit less impactful in my opinion. It’s hard to keep the same level of excitement for such a long period of time, especially since the past few episodes had so many twists and revelations. In the end, Ryuuko is able to break free of Ragyou’s control. Just because Ragyou is her mother, it doesn’t mean she has to acknowledge her or anything. Ragyou is clearly not the best parent in the world and doesn’t see her daughters as anything else besides objects. While Ryuuko longed for a place to belong, a family, she had already found her place and family. Mako’s family had taken her in and treated her as a member of the family, and Senketsu refuses to give up on her no matter what. Banri’s breakdown continues to intensify as he has another episode where he regains his memories.I must say that his voice actor did a good job in conveying his emotions during the breakdowns. I didn’t think him regaining his memories were all that impactful though since he had already confronted and learned about his past and everyone had accepted it already. Oka also has a small break down herself where she’s frustrated with her actions lately. She’s mad at herself for having selfish thoughts. Everyone seemed to have an image of her where she was a perfect girl who was always smiling no matter what. 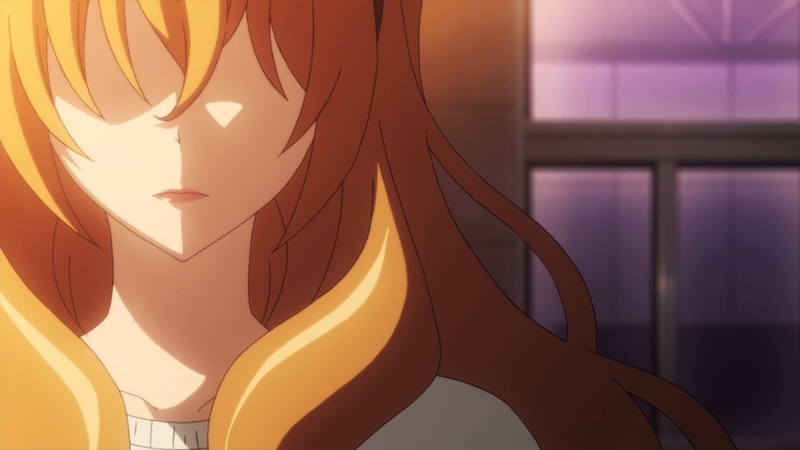 However, Kouko was able to see through that and see her true personality and feelings which is how they became such close friends after. The end of the episode was also pretty interesting with Kouko rejecting Banri. I don’t see there being any truth to her words though, but likely its her way of helping Banri out. While she was obsessed with Mitsuo in the past, over the course of this series, we learned how insecure Kouko really was. Banri helped her grow as a person and she genuinely seemed to love him. With all of that, I find it highly unlikely she was actually after Mitsuo all along (unless she’s an amazing actor and is a completely horrible person from the very beginning). That sums up another week of Fall 2013 anime for me. 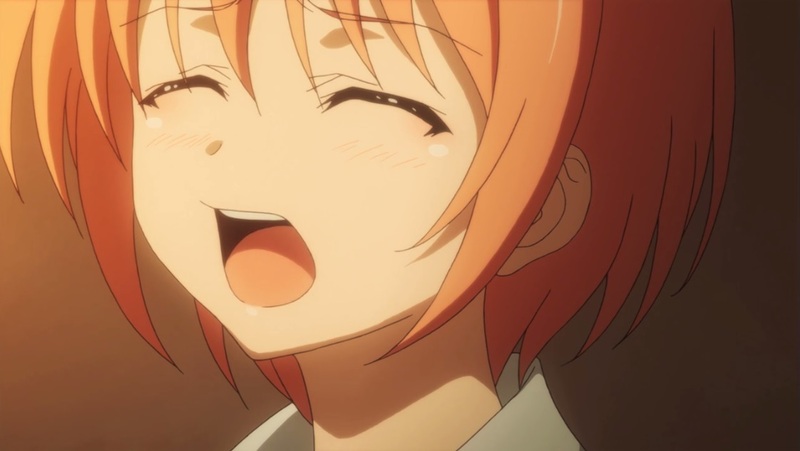 I’ll say it again even though I’ve been trying to do it for the past 3 weeks, I’ll have my Spring pre-air impressions up sometime in the middle of next week hopefully and share my thoughts going into the upcoming anime season. I’ll have my winter anime week 9 thoughts up within the next day or so as well.